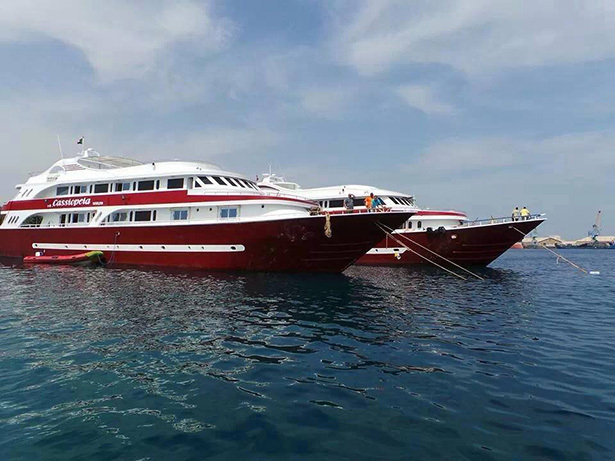 WIN A FREE Liveaboard trip for 2 persons! For 2 persons from 27th July until 03rd August, 2014! 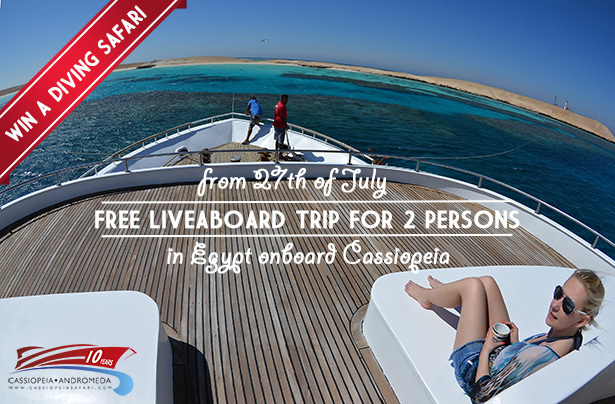 Sign up to our monthly Newsletter on our Facebook Cassiopeiasafari Page and win a free stay onboard Cassiopeia from 27th until 03rd August, 2014 (including transfers between Hurghada airport and boat, 7 nights fullboard accommodation onboard, diving, taxes and sisha/waterpipe onboard). The winner will be notified by e-mail by 8th of June. – The price is not transferable to another person and cannot be exchanged for money. Posted in BlogTagged diving, egypt, liveaboard, red sea, safari, winLeave a Comment on WIN A FREE Liveaboard trip for 2 persons! 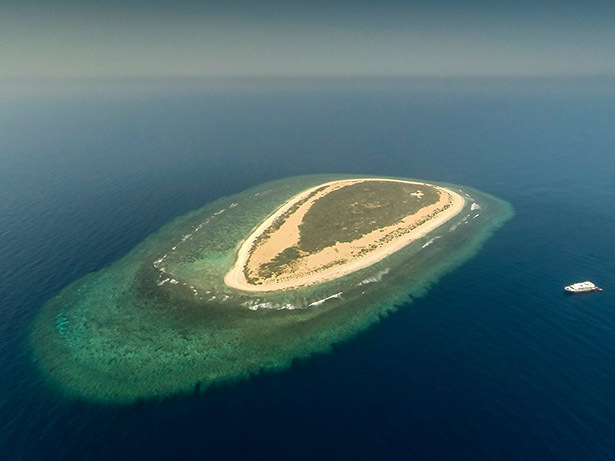 Dahrak Abid, the southernmost reef in the Sudanese Red Sea, lies 220km south of Port Sudan. The Eritrean border is only 30km from here. A populous bird colony lives undisturbed on this flat, 500m-long island. 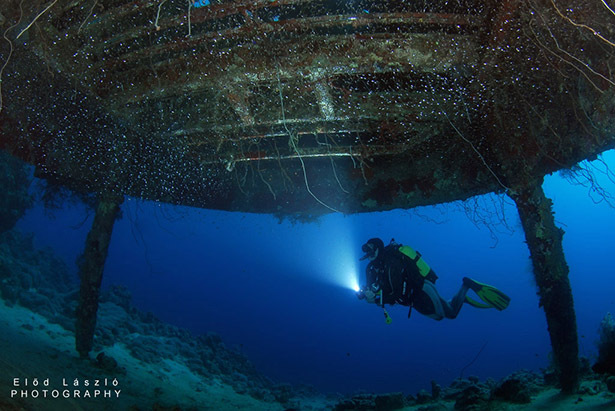 The reef can be easily identified by the wreck that lies on the north side of the island. There is not much information about the wreck but there is a lifeboat close to it named Aris Pireus. Unlucky for divers, there is nothing to see of the wreck under the water surface. The reef completely surrounds the island. It has no plateau but it does have a balcony-like projection that is dreamy. While the group jumps out of the zodiac where the terrace begins and everybody is still busy adjusting their diving and camera gear, a smaller group of barracudas already show up. 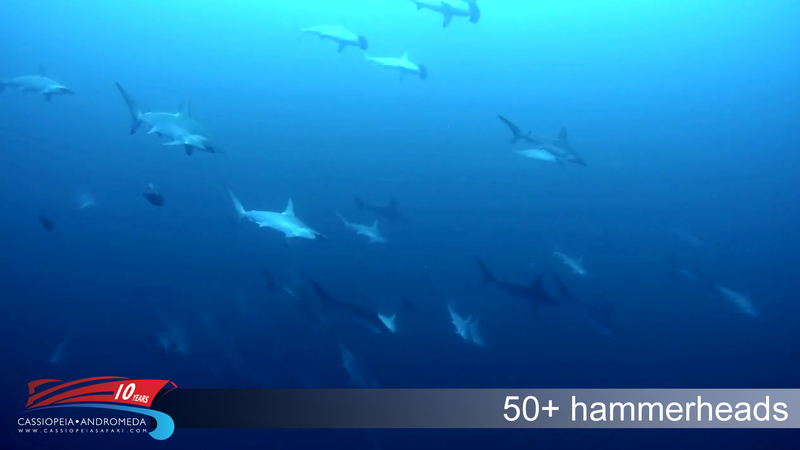 Then we look out into the blue and we cannot believe our eyes – a huge school of hammerheads! We count about 50 of them between 15 and 30 metres. This specie is quite shy and as we begin to approach them, they slowly disappear into the blue. 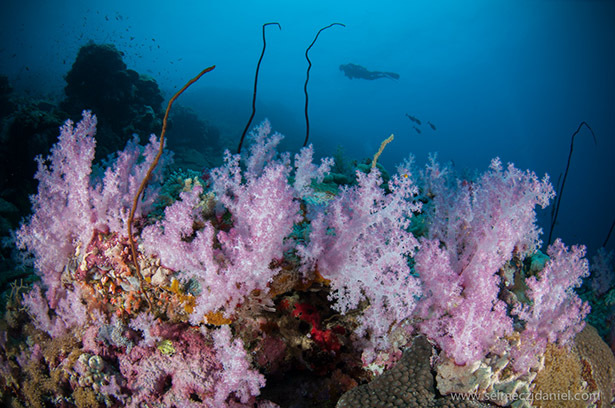 We return to the wall where soft corals blanket the side of the reef at about 20m, ranging from white, through pink all the way to deep red in colour. 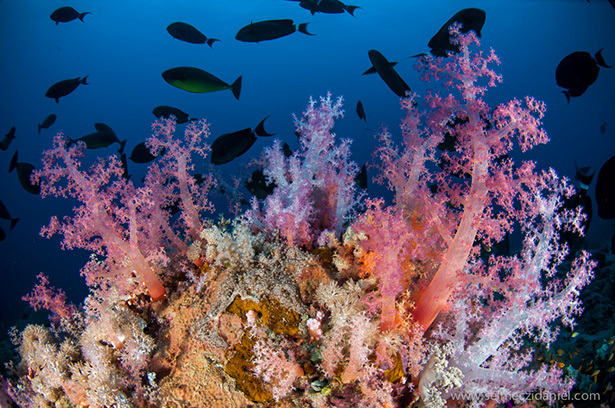 The reef’s biodiversity is amazing, pulsing with life on every square centimetre. 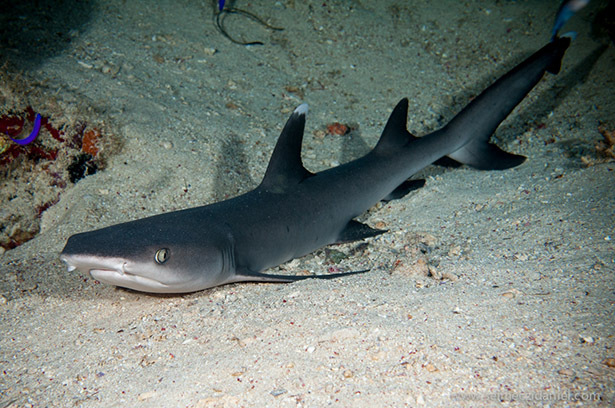 Young white-spotted reef sharks rest in the little sandy crevices after a night of hunting. A few metres from the wall in deeper waters a sizeable grey reef shark watches over the safety of the reef. 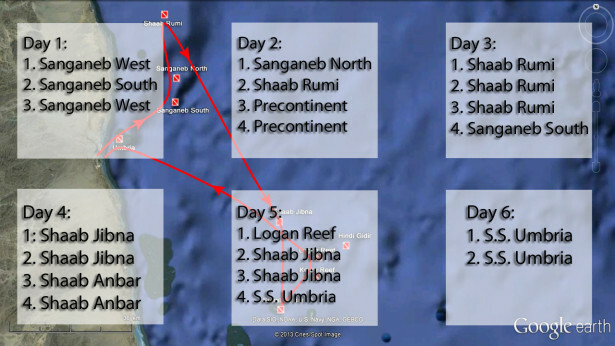 As we ascend to about 5m, the reef begins with an unbelievable view even while we do our safety stop. 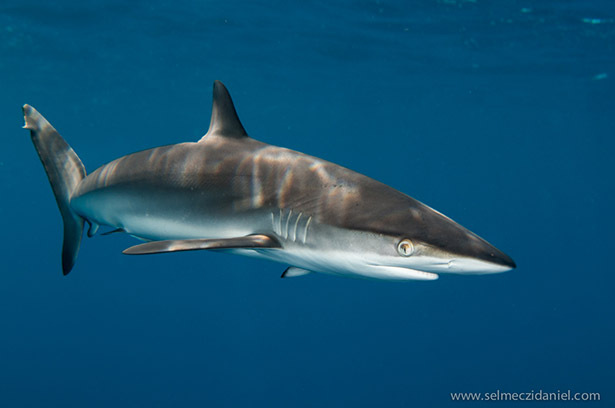 But before leaving the deep for good, 3 young silky sharks appear, as if bidding us good-bye. They are easy to recognise from their sleek, streamlined bodies and long, rounded snouts. They are very curious, checking out divers from close, to the delight of photographers.